April marks the completion of our second Noble Cause! Since December, i-Link panel members have been donating their reward points to Paws for Thought (PFT). 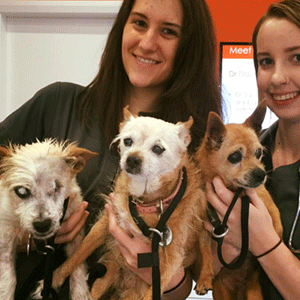 The group rescues, rehabilitates and rehomes dogs abandoned in NSW pounds, saving them from death row and giving them a chance at a 'happily ever after'. Later this month the i-Link team will be meeting with PFT to see how the donated money has been put to use. This is one of the many initiatives i-Link is undertaking to put something back to the community!